When comparing the two; ULIPs combine protection and savings with some level of flexibility to investors. These products are market-linked and have the potential to deliver higher returns. 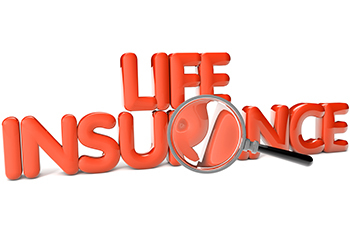 A recent survey revealed that a majority of investors preferred traditional life insurance plans. 64% of those interviewed were in this category against 19% who preferred ULIP’s. When comparing the two; ULIPs combine protection and savings with some level of flexibility to investors. These products are market-linked and have the potential to deliver higher returns. On the other hand, traditional insurance plans such as term plans, endowment plans, and whole life policies, offer benefits in terms of risk cover, return and safety. While it is true that those traditional life policies give lower returns, they also come at a much lower investment risk. Traditional plans such as term plans are offered at very low premiums, unlike ULIPs which may attract high premiums and eventually give low after-tax returns. A wise investor may choose to go for a term plan which guarantees a large enough corpus in the event of death at a relatively low premium price and invest the remaining amount, off what he would have paid in an ULIP premium, in equity funds which give a higher return and have superior tax benefits to ULIPs. Traditional Life Insurance Plans are also perceived as less flexible. While this may be seen as ‘true’ it is market information indicates that only a very small fraction of investors use flexibilities such as partial withdrawals within unit-linked products. On the other hand, traditional plans offer flexibilities such as policy loans and automatic premium loan for quick cash needs which are more widely used by policyholders. An additional myth pegged to traditional life plans is that they are less transparent since the Net Asset Value (NAV) is not declared daily. The truth is that very few Policyholders check the NAV of their plans daily. Policyholders, on the contrary, are interested in periodic updates regarding returns on investment and the safety of their capital. Traditional plans offer guaranteed returns through pre-defined sum assured at the time of buying the policy and bonus publicized annually. The main advantage of traditional plans over ULIPs is that traditional plans are less prone to mis-selling. This is due to the fact that a large constituent of the returns is certain. Bonus history also gives sufficient indication of the probability of future returns. On the other hand, market-linked products are likely to undergo cycles of volatility increasing the possibility of mis-selling. These reasons perhaps constitute why investors still prefer traditional life insurance plans to unit-linked policies. These reasons explain why Indian investors prefer traditional life insurance plans to ULIPs.